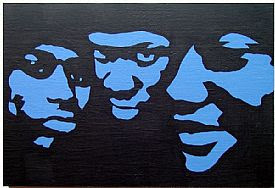 I had to make my first hip-hop related post about the greatest hip hop group of all time, A Tribe Called Quest. These guys made music that was the soundtrack to my generation's upbringing, but like many groups they saw an untimely demise. Hopefully they can put their differences aside and get back in the studio, but until that day here are 4 Tribe gems for ya earholes.